Due to continuing heavy rains in the Los Angeles area, the 49er tennis opener at USC has been postponed from its initial start at 1 p.m. Thursday. 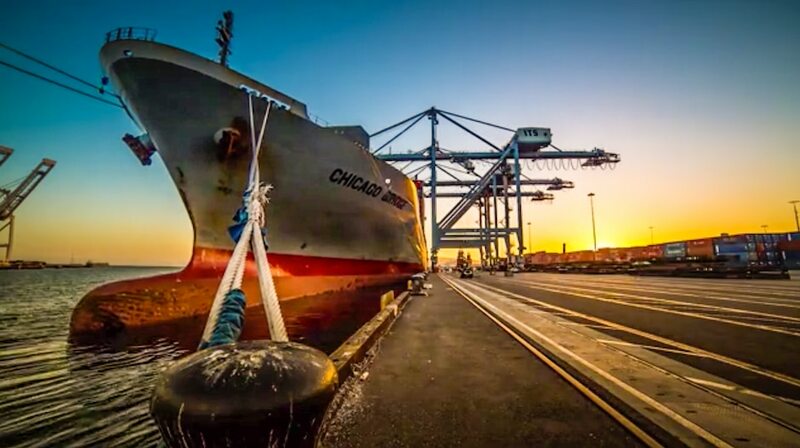 Orange County filmmaker Alex Hallajan spent a month using his cameras at various locations throughout Long Beach to time-lapse the loading and unloading of goods, the trucking and packing, the going and coming at the Port of Long Beach. With clockwork-like efficiency, we see that the generally simple idea of bringing goods to and from one location is a massively complex process. “The Art of Stevedore”—stevedore is the term for those who load and unload cargo from a dock—was born. The various camera locations were, for the most part, places Hallajan specifically chose.